Benjamin J. Moody | Stahancyk, Kent & Hook P.C. King County Dispute Resolution Center to mediate cases in a variety of areas. 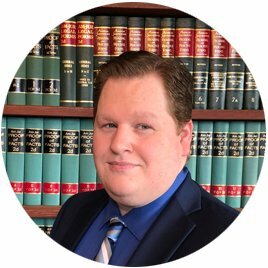 Ben is a member of the Clark County Bar Association, CCBA Family Law Section, and the George and Donald Simpson American Inn of Court. Ben is a regular volunteer at the Clark County Volunteer Lawyers Program. In 2017 and 2018 he spearheaded the use of Orders of Limited Dissemination in Clark County to help low income tenants find new housing. Ben also volunteers his time through Congregation Kol Ami helping with Winter Hospitality Overflow at a local homeless shelter. On weekends you will find Ben watching the Huskies or Seahawks play football, playing golf rather poorly, or watching sumo wrestling.